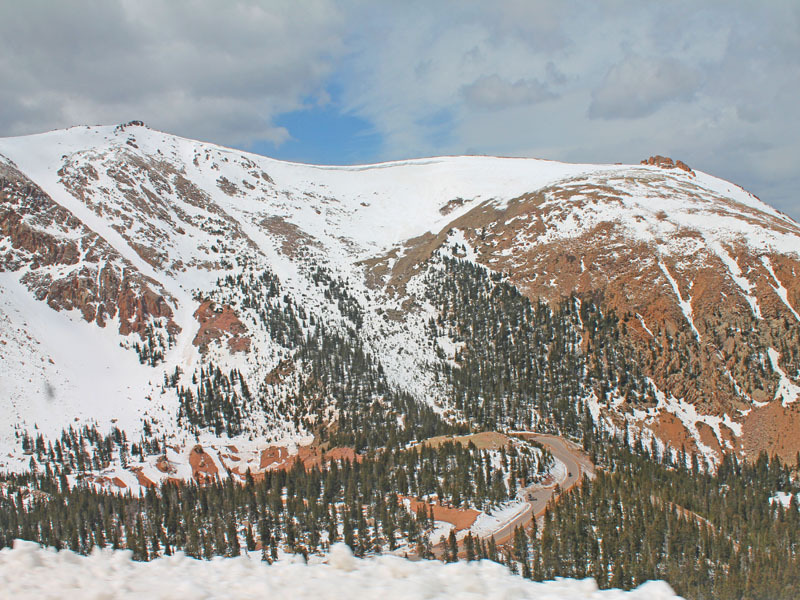 This is everyone's Colorado bucket list destination for sure. One of the most breathtaking experiences we've ever had. This drive is not for the faint of heart. My husband drove and I'm very proud of him after we made it to mile 16 turnout to be the Devil's Playground up all those narrow and windy turns. This is a good place to stop and enjoy the 3 mile ride to the top. The 360' view from the top was breathtaking. I only wish there were signs to let tourist know what we were looking at in the distance, you know like landmarks and such. I did feel the affects of the high altitude, but I made sure I stay hydrated. The Summit wasn't my favorite part of the experience. It was frigid cold up there come prepared. I wasn't prepared, no winter coat, gloves or scarf. I literally jump out in the car, posed a minute for a photo, took 15 minutes to enjoy the view and turned back around and ran full force back to the car. Outstanding views of Colorado Mountains. 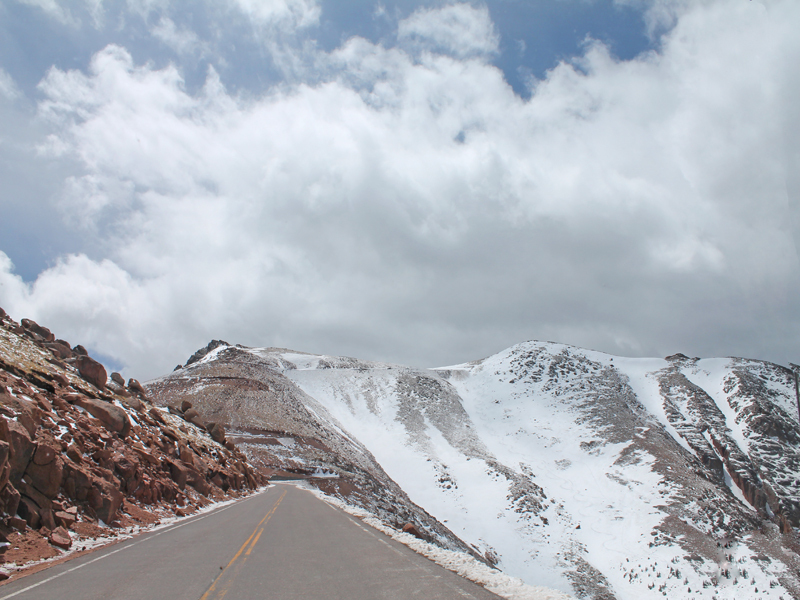 This is a must do while in the area- the thrilling drive up and standing at 14,000 ft. elevation helps you put everything into perspective. Cool drive up some crazy windy roads. Definitely the bird's eye view up here. The beauty of the mountains, the snow, the colors, is beyond describable. This should definitely be on your bucket list. I have to admit, it wasn't on mine. I was unexpectedly in awe. Thanks God for the mountain, for it bring us close to nature. 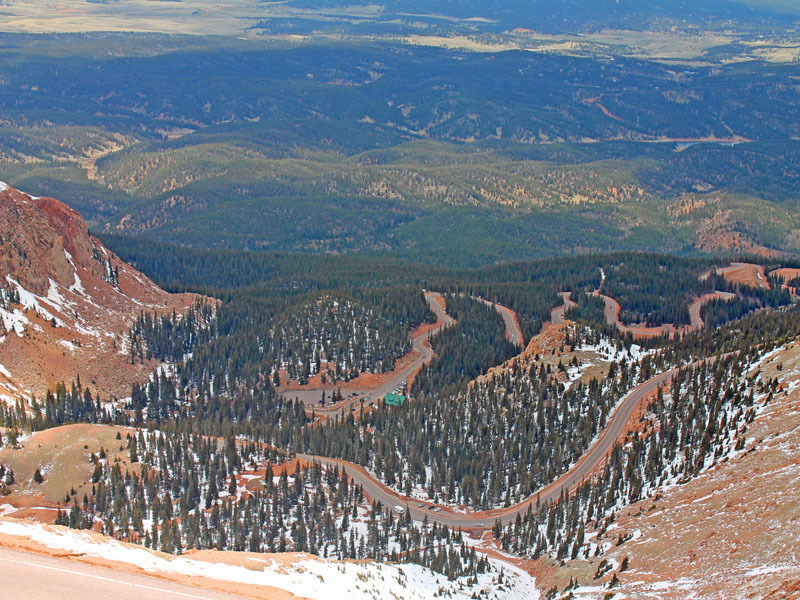 Pikes Peak is an absolute treasure. This is such an amazing place to see the world laid in front of you. 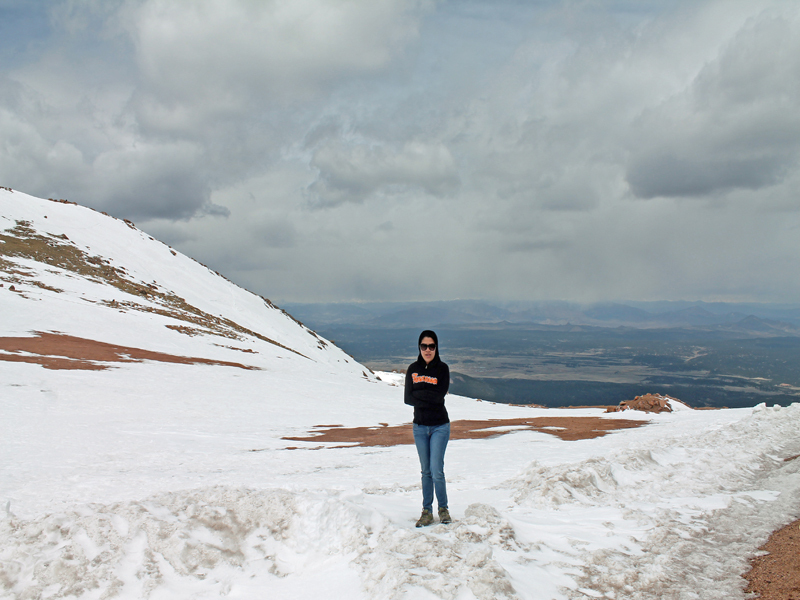 If you visit Colorado you have to do this! Wow and wow. What a wonderful place to visit. Thanks for showing! Holy molly, I love the view. Must be thrilling to get up that mountain sis. Incredible! The scene is very breath taking! I would just imagine myself being in that picture! lol. Lovely photos of this breathtaking place! 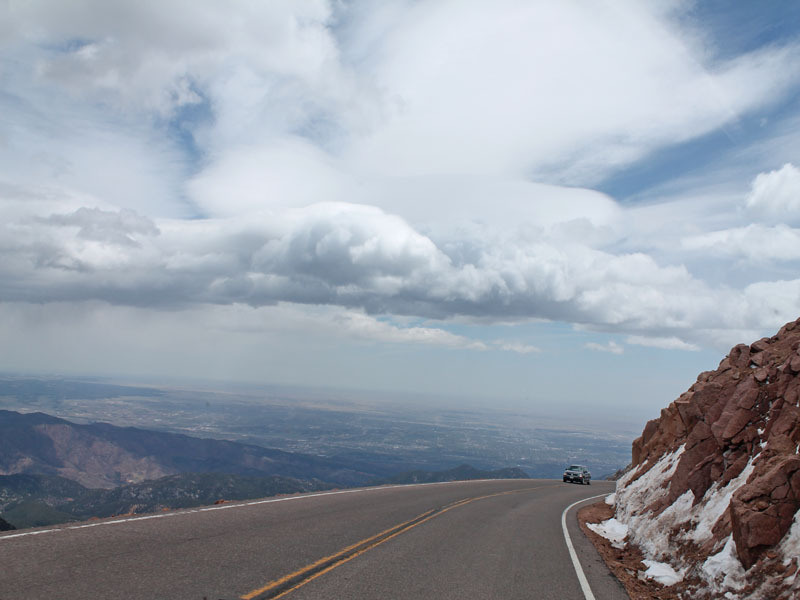 I wish we could visit Pikes Peak National Forest, too, someday! Gosh! ang taas ng summit. The photos speak for themselves, Nature at its best talaga. Scary but beautiful! The elevation is not so steep, maybe hiking to the summit is easy on the leg muscles. Haha. Travelling to be with nature is one of the best experiences. wow! what a very nice place to go, something you don't see everyday...national forest are indeed great place for hiking. how fun is that...I love going to place like these...awesome photos! 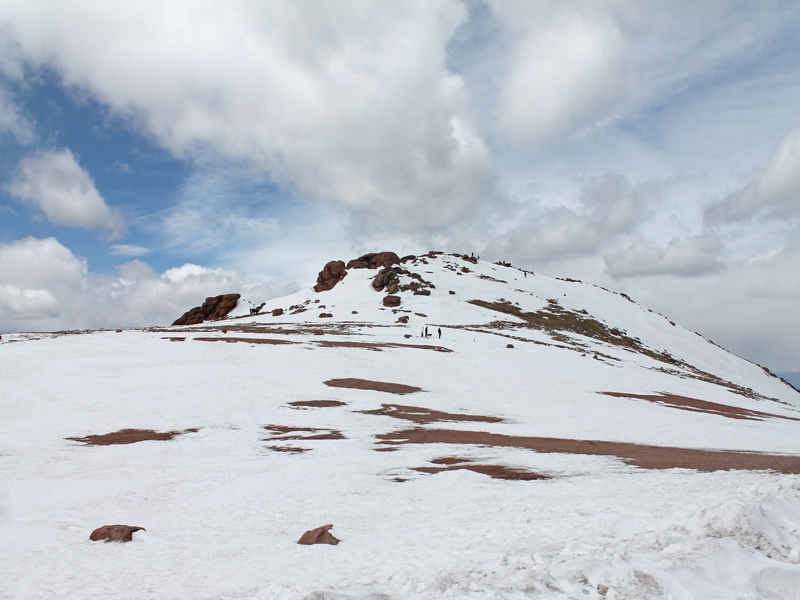 love your last words, "thanks God for the mountain, for it bring us close to nature!" ahhh, love your pictures, beautiful! seems like i am watching a movie...views are so beautiful and priceless...especially if it with the one you care. Wow, what a gorgeous area. I just love the views! I need to get here one day. Sigh, I am so over snow but this looks positively STUNNING. Thanks for sharing! Love the photos and those views are really breathtaking butI would be scared on driving on that road. It's definitely on my travel list, for sure! I am in love with that entire area! What a gorgeous view! I hope I can visit Colorado someday! Wow what an absolutely beautiful looking national forest. Those views could most definitely take your breath away. Oh my goodness, you are making me miss the mountains. It's nothing but flat land here. I love the views and sky so much. What a great place to spend some time. So beautiful! The views are amazing. I would love to visit. WOW - this is so beautiful. Don’t get much snow here in QLD!!! I want to visit that toooooooooo man! The views are breathe taking! Sooon pleaaase! The views are simply gorgeous...postcard views. The drive up must have been awesome. 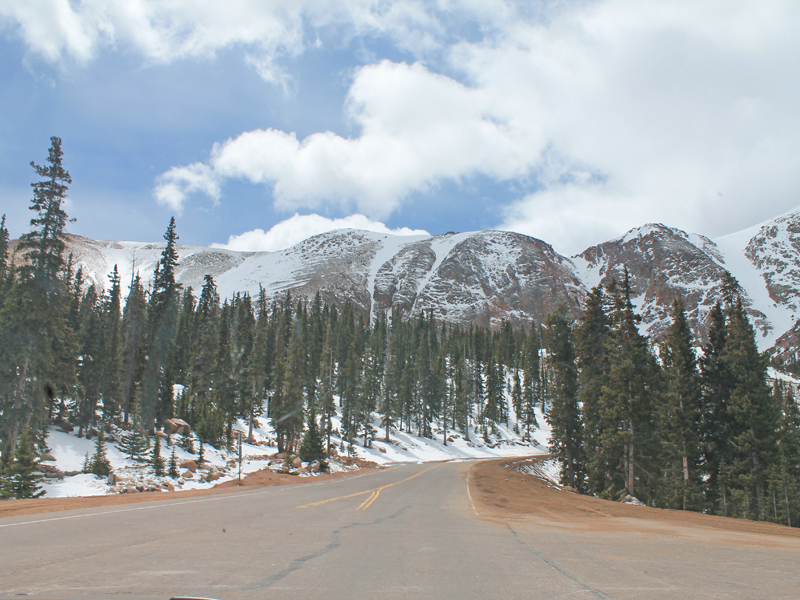 I’ve been to Colorado once and I loved it! I would love to visit this National Forest. What a beautiful view! It's even prettier with the snow on the ground. 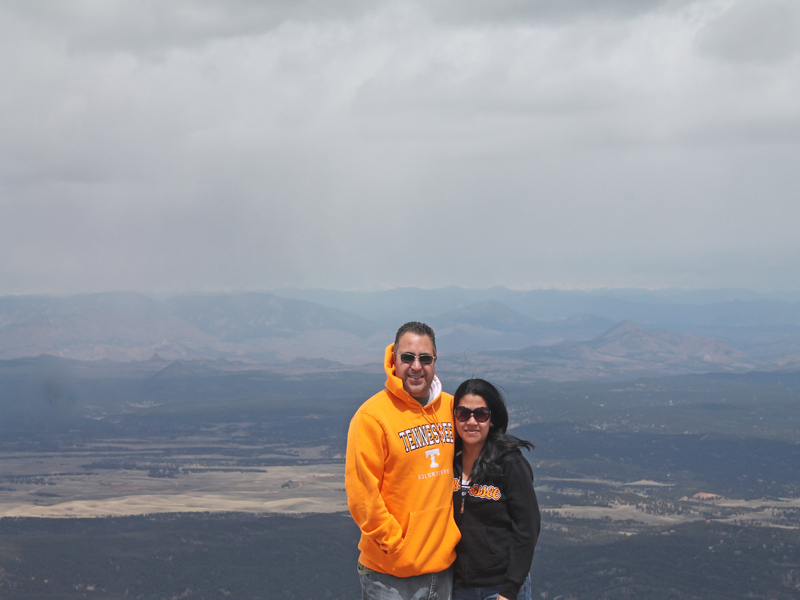 I hope to get to Pikes Peek again some time with my kids.